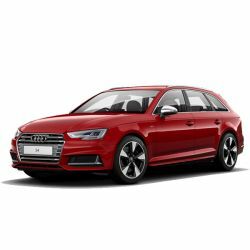 The Audi A4 is available in both Saloon and Avant. The Audi A4 Saloon has evolved, with more innovations in the cabin and more power under the bonnet. The 4-door Saloon comes with parking system plus, front and rear sensors, deluxe 3-zone electronic climate control. With sharp looks, new technology and 5-door practicality, the latest A4 Avant has been enhanced in every way.